Busy Moms rejoice! We have created an EASY, high PROTEIN, PLANT-BASED breakfast recipe that you can take ON-THE-GO. 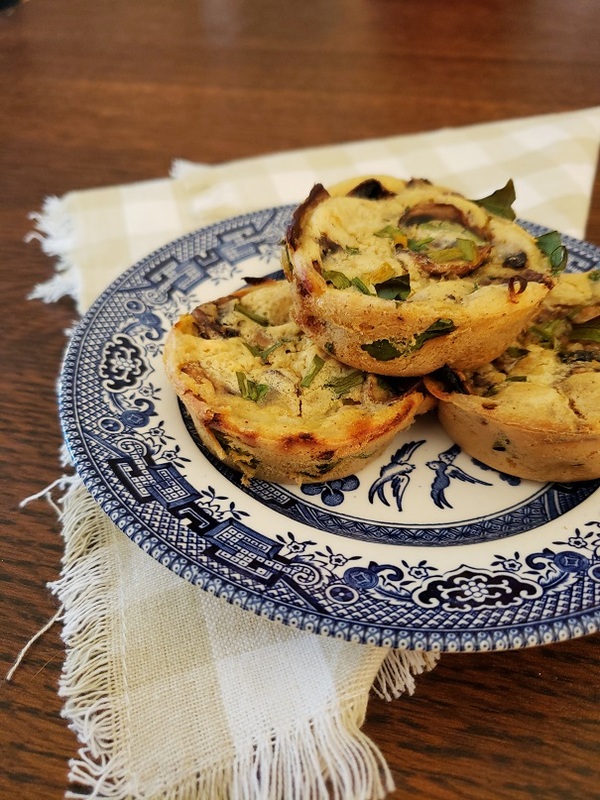 Not only are these little baby quiches super savory and delicious, but they are packed with vitamins and fuel for your day (or your itty-bittys day). This recipe is also very flexible. Feel free to substitute for seasonal vegetables or whatever happens to be sitting in the fridge. Preheat oven to 425 degrees C and lightly grease a muffin pan. In a small saucepan over medium heat, combine ½ tbsp of olive oil with sliced onions. Cook until caramelized, set aside. Over medium heat, combine ½ tbsp of olive oil with chopped mushrooms and cook until soft. In the greased muffin tin, layer desired ingredients… spinach, onion, and mushroom. Pour Eggcitables eggs over the vegetables until each muffin tin is 2/3 full. Top with dairy-free cheese and/or chives. 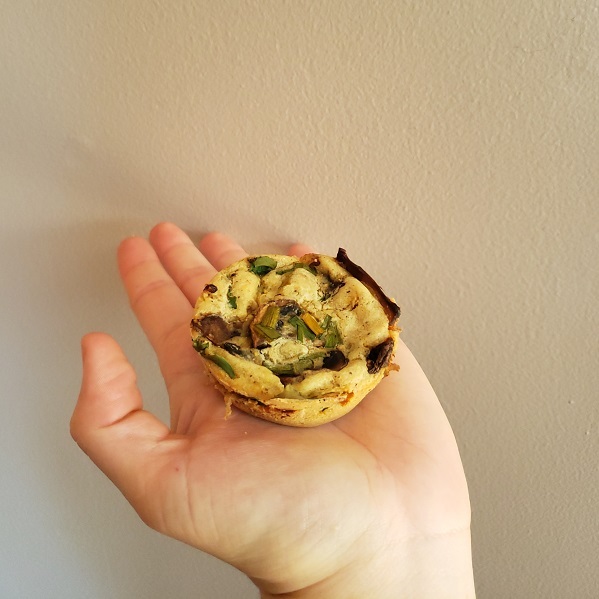 Leftover quiches can be portioned out and froze for future grab and go breakfasts!